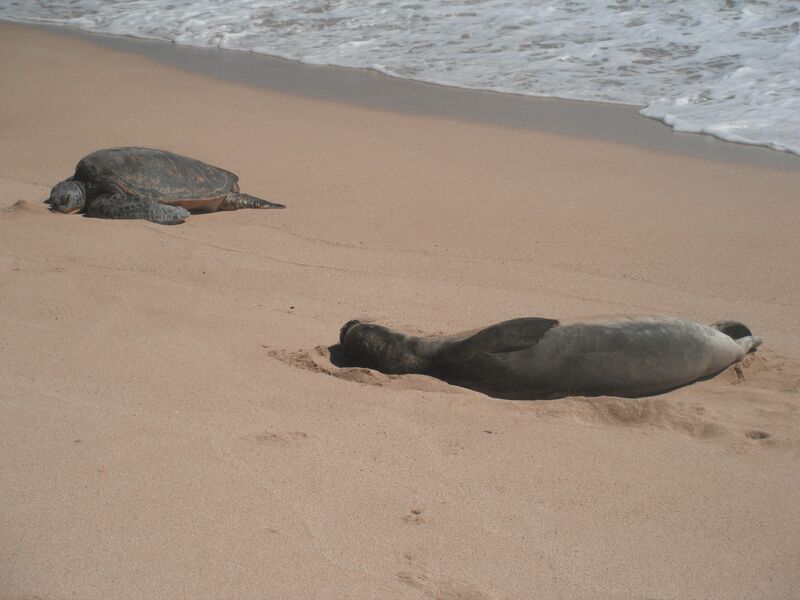 It’s been a busy beginning to 2011 for the Kauai Hawaiian Monk Seal Conservation Hui!! Here’s the latest news for our island’s seals. 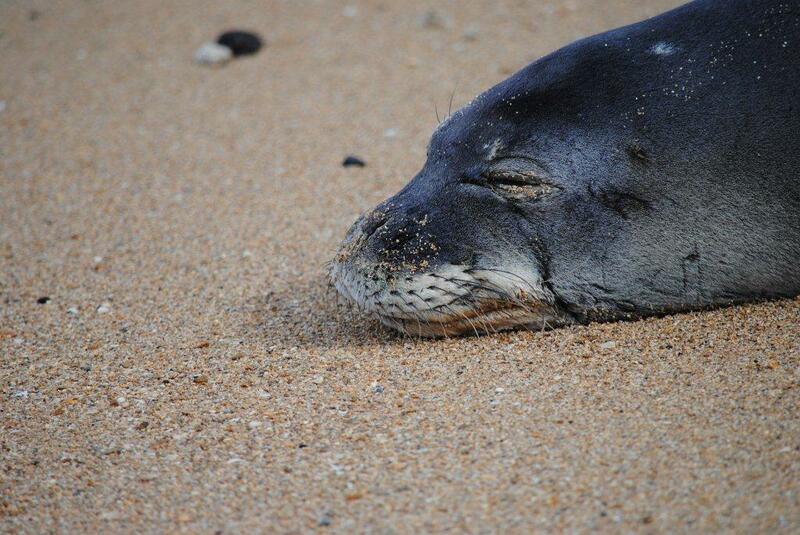 RA00, “Kaikoa”, is a juvenile seal who will be two years old this March. She is looking too thin for her age, and quite green. The green color in her fur coat is evidence that she has not yet molted. 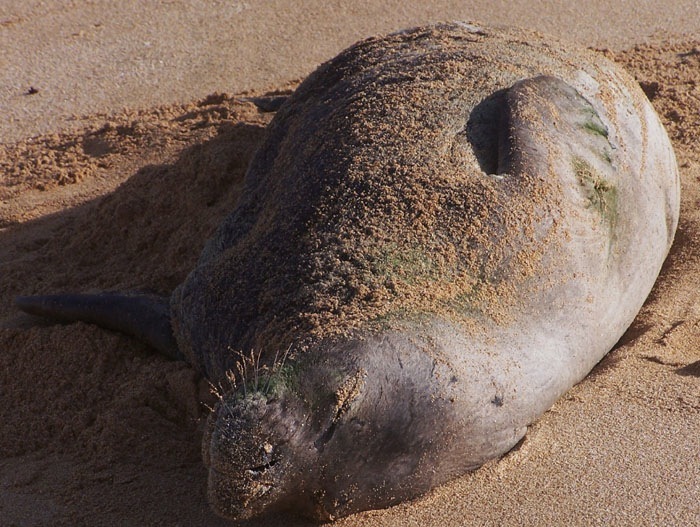 Hawaiian monk seals molt once per year, shedding their outer layer of fur and skin. She can be identified with her rear flipper tags, which are red with white letters/numbers A00 (left flipper) and A01 (right flipper), and by her bleach mark, V22. 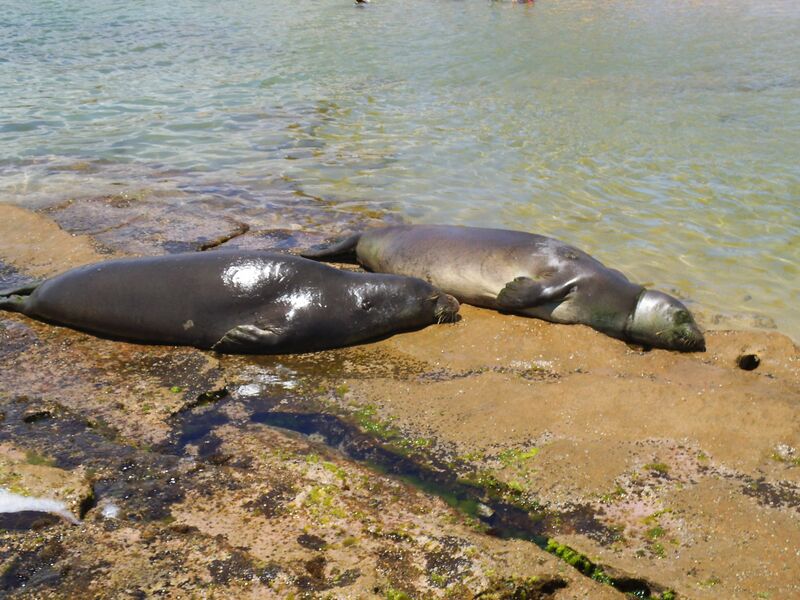 If you see Kaikoa, please call the Kauai monk seal hotline at 808-651-7668, so we can assess her health further. RK12 is our six-time mama seal. She most recently gave birth around Thanksgiving 2009 at Maha’ulepu beach, and was thought to be pregnant again this year. However, she has now completed her molt! This indicates that she is not in fact pregnant. It’s normal for mama seals to take a year off between pups, and RK12 has not taken a break in six years. Good for her! RO18, an adult male with flipper tags 6FA/6FB, was bleached V25 at Kauai Beach Resort, and was spotted on Oahu a couple of days later! 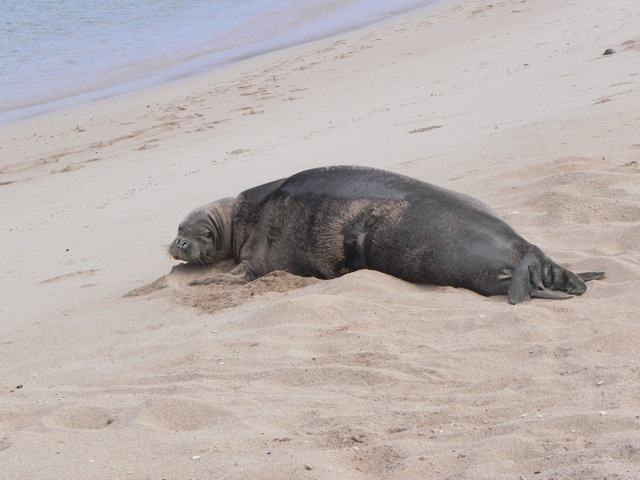 Three-year old female seal RB24, “Ha’upu”, received a cell phone tag and her tracks have already started showing up – she went south down the coast, and was seen a couple of days later in Kapa’a. R6FM is the new permanent ID for an unknown juvenile female found at North Larsen’s beach; the PIFSC team gave her flipper-tags 6FM/6FN. Adult female RK13 (tags 5AA/ 5AB) has a new V21 bleach mark, and adult male RK05 (tags 4DA/4DB) has a new V30 bleach mark. Juvenile female RW06 was given a new V8 bleach mark. R6FQ is the new permanent ID for the little unknown juvenile male bleached ”V16″ earlier this month. 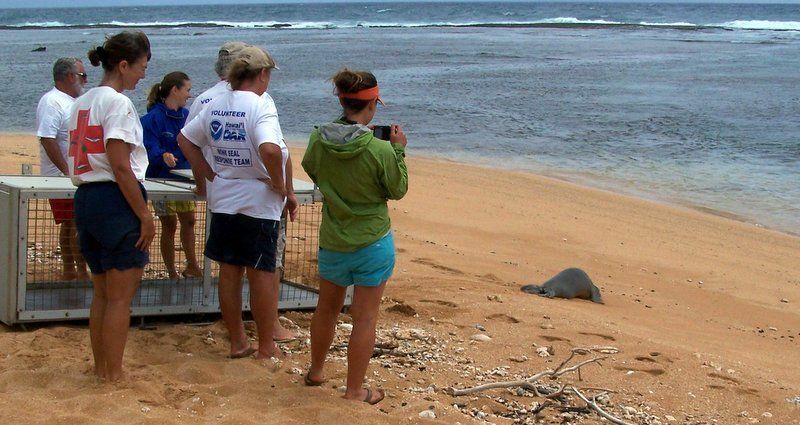 Thanks to PIFSC and all of our volunteers for their hard work for Kauai’s seals! !